The MCC Alumni Advisory Council would like to honor select alumni who have stood tall in Godly excellence in their respective occupations and personal lives. These awards will be given annually during the college’s annual Vision 360 Banquet in April. This is the highest Alumni Award.It honors and recognizes a lifetime of service to the Lord, the body of Christ, and the world we live in. This alum exemplifies Manhattan Christian College with outstanding leadership and character.Recipient should be 40+ years of age and a graduate of Manhattan Christian College (alive or posthumously). This award is given to a former student or alum (must be 5 years out from their last enrollment date or MCC degree) who is making a difference for the cause of Christ by the way they serve others in vocational ministry.This person lives according to Philippians 2:3-5, with the highest degree of integrity and Christ-like character in service. This award is given to a former student or alum (must be 5 years out from their last enrollment date or MCC degree) who is excelling in their chosen non-vocational ministry career field.They have had notable achievements and contributions to their profession.They demonstrate high standards of integrity and Christian character in their professional and personal life. Nominations for our 2020 Alumni Awards will begin in August 2019. Born and raised in Bartlesville, Oklahoma, Dennis Glenn became interested in Manhattan Christian College because of a new dual-degree program in Secondary Education with Kansas State University. By the time he arrived at MCC in 1971, he had decided to major in Bible-Ministries instead. His experience at MCC included working as a recruiter in summer camps, singing in music groups, weekend ministry at the Clifton Christian Church, working as Dr. Donn Leach’s student assistant, serving as student government VP, and teaching Greek under Dr. Leach’s direction his senior year. In 1975, Dennis graduated and started preaching at the Ogden Union Church, teaching as a part-time instructor for MCC, and preparing to enter graduate school at Kansas State. Dennis met Diane Heitschmidt, a Kansas State student in Family and Child Development from Scott City, in 1975. She likes to refer to Dennis as her “senior project.” After a short courtship, they were married in January 1976. Diane worked at Varney’s Bookstore in Aggieville while Dennis completed an MS in Education in 1977. After earning the Education Specialist degree with subject matter in Religion at Eastern New Mexico University in 1978, Dennis served as an associate minister in Enid, Oklahoma, and as an administrator for a Christian college in Oklahoma City. Dennis returned to Manhattan Christian College in January 1982 as a professor of Christian education, at about the same time that Kenneth Cable became MCC’s president. He completed a PhD in Educational Administration from K-State and served as MCC’s vice president for academic affairs from 1987 to 1994. During that time, the College launched the degree program in Family Ministry, 16 additional dual-degree programs with K-State, the adult degree-completion program, and application for regional accreditation. 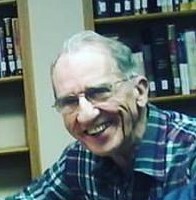 Dennis presented numerous church growth seminars (with Charles Cook, Harry Baird, and Orris Doty) and Christian education training sessions in churches and conferences from Indiana to Arizona. In 1994, the Glenn family moved to the Atlanta metro area as Dennis became a vice president at Point University (formerly Atlanta Christian College). He served Point as academic vice president for 14 years and, since 2008, as the Vice President for Institutional Effectiveness and Dean of Accreditation. He has participated in developing: the University enrollment from about 300 to almost 2,000; Point’s adult, online, and graduate programs; over 40 new undergraduate degree programs and 6 graduate degree programs; several off-site locations; and the new main campus in West Point, Georgia, on the Chattahoochee River. Through Seminary of the Nations, he has taught week-long sessions on Christian education, family life education, and church growth in Guyana, Venezuela, St. Vincent, and Mexico. 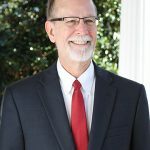 He serves as an evaluator and chair for SACSCOC review committees, a regular presenter at annual meetings and conferences regarding accreditation and assessment, a consultant for other institutions, and a board member of the Association for Higher Education Effectiveness. Through the years, Dennis has actively served as a church elder, teacher, small group leader, and occasional preacher. His community involvements and board memberships have ranged from LifeChoice Ministries, the Little Apple Task Force on Alcohol and Drug Abuse, and the United Way of Riley County to Fayette Community Theatre, Chattahoochee Hospice, Auburn Christian Fellowship, and the initial steering committee for the GlobalScope campus ministry in Montevideo, Uruguay. Dennis and Diane reside in Lanett, Alabama, and like to spend as much time as possible with their family. Jay, his wife Cody, and two grandchildren, Parker and Presley, are in South Carolina. Kristi and her husband Josh live in Atlanta. Though surrounded by SEC and ACC teams, Dennis says that he and the family still cheer the loudest for Kansas State (EMAW). Dennis’ goals in all of his professional and personal engagements have been and are to glorify God, serve others with the love of Christ, influence others for growth and improvement, strengthen families, and advance the Kingdom. He credits his mentors at MCC and his wife of 42 years with gratitude. Philip Keith McAfee, born of Dale (’53) and Carol (’52) McAfee on August 28, 1954, second of 7 children, first went to Brazil with his parents in November of 1961 at age of 7. Once his parentes finished language school in Campinas, São Paulo, they returned to Goânia for their first term of missionary work. During this time Philip was baptized into Christ by his father at the Vila Nova Christian Church. For the second term of missionary work the family moved to Ceres, Goiás, along the newly opened Belém-Brasília highway. There Philip attended brazilian school and was part of the local Boy Scout movement. Later Philip transferred to the Presbeterian High School – Escola Bandeirante, where he graduated. It was during this term that the McAfee house caught fire and they lost everything they had. This was the first fire the city of 16,000 had ever seen, and since then, there has never been another! Having graduated from Escola Bandeirante in 1973, Philip remained one more year to accompany his father in the mission work. He worked with the youth group, was Sunday School Superintendent and served as a supply preacher in the small town of São Luiz de Montes Belos, Goiás. When the family returned to US for their furlough, Philip, his sister Linda (’78), and his brother Steve (’75) all attended Manhattan Christian College, Manhattan, Kansas, where Philip obtained his BS in Christian Ministry in 1979. During his tenure at MCC he was minister of the Westmoreland Christian Church in Westmoreland, Kansas. When he began at Westy the congregation was composed of 11 persons: 4 children under the age of 13 and the rest were elderly, all over 65 years of age. In 1979 Philip left the church with a retired part-time minsiter, and a congregation of over 45 which to this day is one of the faithful supporters of the work in Brazil. Having returned to the mission field in December of 1979, Philip began his brazilian ministry as manager of the Brasília Church Camp ground and developed several activities among the local youth groups, including serving as vice president of the Annual Youth Convention. Philip met Tabita, who was a member of the Brasilia youth group, and they began to date. They were engaged on Feburary 7 of 1980 and married on July 11 of 1981. Philip and Tabita have two daughters: Cynthia Lee McAfee, born while they ministered to the Urias Magalhães Christian Church in Goiânia, Goiás (planted 1982-1985 with the blessing of the Fama church), and Angélica Christine Teixeirense McAfee, born in Niteróis, Rio de Janeiro while they ministered to the Niterói Christian Church that they helped establish (1986-1989). Both churches are currently under national leadership. From there they moved to Teresópolis, Rio de Janeiro to give assistance to a newly founded church (1990-1993) and were responsible for setting up the Sunday School and youth group of that congregation. The McAfees were back in the US, 1994 – 1996 while Philip pursued a masters degree in Marriage and Family Therapy, with Friends University, Wichita, KS. And Tabita continued her studies in Psychology at Wichita State University, Wichita, KS. In 1997 Philip and his family returned to Brazil to work with the Bible College of which Philip is one of the founding members. That same year began the work of planting a new church in the satellite city of Sobradinho. As Dean of Students Philip was sent to Angola, Africa to assist the native Church of Christ of Angola to open and begin its own Bible Institute. Philip also had opportunity to visit the World Convention of the Christian Churches-Churches of Christ in Brisbane, Australia, where they made the invitation for the convention to consider Brasil as possible site. This came to be in 2012. The work in Sobradinho continues, and the McAfees after completing a local research of the community opened the Talita Cumi Day Care. This is a Christian, non-profit organization to help those families that cannot afford private school for their smaller children (ages 2-5) and serves as an evangelistic outreach to the community. “Everyone was made to create!”—that’s the motto Charity (Chesnut) Solomon takes to heart and has become her passion. She has taken the characteristics of our very creative and personal God and made them a focal point for her own Solomon’s Dance Studio. For nearly two decades now, she has been investing in the people of her community to demonstrate how dance can be an outlet used to understand the joy that God has in watching his children. Born in Manhattan, KS, and growing up in Neosho, MO, this Midwest girl began dancing at age 6 and has never looked back. She was introduced to Manhattan Christian College through Racine Christian Church and a CIY Move Conference. She attended MCC 1994-98 and earned her degree in Bible/Christian Service in addition to taking some Elementary Classes at KSU. MCC provided Charity many opportunities to collaborate her love of dance and people, while also learning how to become a strong leader. She began “Unspoken Message” the college’s first dance ministry team and she developed many lifelong friends. It was an environment that encouraged her gifts and personality so that she could find purpose in her creativity and leadership. While serving on an MCC Camp Team, Charity met Mark Solomon who served on staff at Camp Como in Colorado. They married in 1998 and soon she began her first studio in Fairplay, CO. They moved to Neosho, MO in 2001. To know Charity is to love her; she has always had a smile beaming across her face and contagious energy in her soul. Once back in her childhood hometown she began teaching again and her small studio quickly grew to 400+ students which caused her family to buy a bigger building in order to accommodate all the lives of people walking through her door. 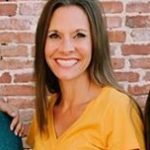 She teaches tap, ballet, pointe, and hip hop, as well as musical theater and special needs to people ranging in age from 18 month through adult. She mentors all of them and many of her students have grown up to become one of the teachers in the program. “In-house” hiring has become one of the reasons dancing at Solomon’s feels like family. This home town ministry quickly spread to nearby towns which brought in more students, some from 40 miles away. Solomon’s Dance Studio is strongly connected to Racine Christian Church and families can often find a church home through their dance experiences. Dance students regularly share in the worship services of adults and students with creative arts programs. The church also hosts the studio’s spring dance performances which have grown to three nights with over 1,000 people in attendance at each show. Charity and Mark are committed to homeschooling their four children: Jonah (14), Journey (12), Jude (7), and Jewel (6). As a family they are all involved in the ministry and dance performances. Dance isn’t something they simply enjoy; it has become an outlet for portraying God’s goodness and love. They inspire the community to connect with others and eventually God himself. The uniqueness of Charity’s ministry reminds us again that our God is a creative God gifting everyone with special abilities. Charity’s upbringing in a strong, Christ-centered home, combined with her training at MCC gave her the foundation she needed upon which to build her outreach dance ministry. Jimmy W. Kruse was born on August 26th, 1930, in Crescent City, MO, the oldest of seven children. His mother was a Christian who knew her Bible well, while his father claimed to be an atheist, then more of an agnostic in later life. While doing custom combining, Jim met a young lady named Laura Turner. Following a two year courtship, the two were married on September 1, 1951. On August 20, 1952, Jim joined the Army, serving his country for two years. It was shortly after that stint that Jim felt the call to ministry and he entered Manhattan Christian College in September of 1954. When his dad became seriously ill, Jim left college and returned to the farm, also preaching at three churches near Versailles, MO. Upon the death of his father, Jim returned to Manhattan to finish his degree. By this time the Kruse family also included three daughters, Eva, Arleen and Virginia. On April 12, 1958, tragedy struck when an automobile accident claimed the life of Jim’s wife, Laura, almost killing Jim as well. In spite of this, Jim finished school, and upon graduation, returned to preaching with the three churches in the Versailles area. On June 7, 1959 Jim and Eileen Violett, whom Jim had known while at Manhattan, were married, a union which produced three more offspring, a daughter, Oneta and two sons, Tim and Steve. Tim was born with special needs and throughout the intervening years of ministry, the Kruses began to think about and plan for Tim’s welfare as he would reach adulthood. Preparation included being instrumental in forming sheltered workshops in Sallisaw, OK, and in Versailles, MO. The Kruses also served as foster parents to a number of children, many of them troubled, even adopting twin girls, Amber and Misty. Jim has held ministries in Nebraska, Illinois, Wisconsin, Kansas, Oklahoma, and Missouri. While ministering in Illinois, he also received his Master’s Degree from Lincoln Christian Seminary. 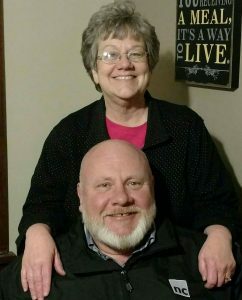 New church evangelism has played an important role in the lives of Jim and Eileen, having worked with new churches in Watseka, IL, Topeka, KS, and Camdenton, MO. Jim has served with new church evangelistic organizations in five different states. He helped organize the Lake Ozark Evangelistic Fellowship and served as its president for ten years. In addition to his located ministries, Jim served for eight years as the camp manager at Prairie State Christian Service Camp in Illinois, helped start Green County Christian Service Camp near Muskogee, OK, and actively served at King Solomon Christian Camp in Kansas as well as Mocomi Christian Camp in Missouri. For the past 25 years, Jim and Eileen have been diligently working toward the establishment of a home for Tim and others with special needs. The dream became reality as New Hope Christian Community opened its doors in Versailles in 2015, with Tim, now in his 50’s, being one of the first residents. Jim has performed hundreds of weddings and funerals and held revivals in six states. However, if you were to ask Jim about his greatest achievement, he would tell you that it is having preached the gospel of Jesus Christ for over 60 years. Dr. Rick Grover comes from a long line of Manhattan Christian College alumni. Grandparents, parents, aunts, and uncles all preceded him in ministry preparation through MCC. Born in Lincoln, IL, Rick is a third-generation pastor on both sides of his family. He doesn’t take that heritage lightly, and, along with his wife, Laura, is passing on the ministry call to his three children, Will, Anna and Luke. Rick currently serves as the Lead Pastor of East 91st Street Christian Church (E91) in Indianapolis, IN. E91 is a growing and thriving church that is impacting the greater Indianapolis region through community outreach, discipleship, worship and prayer. After completing his undergraduate degree at Manhattan Christian College, Rick received the Master of Arts in Theology/Philosophy from Lincoln Christian Seminary (Illinois) and the Master of Divinity and Doctor of Ministry from Emmanuel Christian Seminary (Tennessee). Rick has written numerous articles and is a contributing author of two books, One Church, edited by Carson, Foster and Holloway and Church Planting from the Ground Up, edited by Tom Jones. He served as the Pastor of Evangelism and Discipleship at Central Christian Church, Wichita, KS, which was followed by growing ministries as the Senior Minister of Woodlawn Christian Church, Knoxville, TN and Owensboro Christian Church, Owensboro, KY. In 2001, Rick and his family were sent out to plant Journey Christian Church in New Orleans, LA. Church planting is still very much a part of Rick’s ministry through E91 partnerships with other churches and organizations. His passion is to help people take their next steps with Jesus regardless of where they are in their journey. Rusty Andrews was a unique and talented man who touched many lives since his birth in Wichita, Kansas. He was a man of God, a son, brother, husband to Jenne for close to 42 years, brother-in-law, uncle, father to Lyndsey, Logan and Megan and their spouses, Doug, Andrea and Andrew and probably his favorite . . . .grandfather to Brenden, Cooper, Anders and Laiken. Many people called him friend and miss him greatly. As a child, Rusty attended Glenn Park Christian Church where he had special connections to Ken and Phyllis Cable, Tom Hawks and other alumni that offered exposure to the exciting things happening at Manhattan Christian College. This influenced his decision to attend and he received his bachelors degree from MCC in 1976. About 10 years later he would go on and receive his Master’s degree and his PhD from Kansas State University in Marriage and Family Therapy. He was a licensed clinical Marriage and Family Therapist and owned and operated the private practice of Andrews & Associates in Manhattan. Rusty’s vision for the practice was solely created around the premise of helping people to heal their relationships. It is from this passion that Andrews & Associates grew to become a wonderful and diverse practice. Dr Andrews worked with a wide variety of mental health issues providing individual, marriage and family counseling services; he taught training classes on human relationship systems and stress management; provided group problem resolution to businesses and higher education institutions and taught Marriage and Family therapy courses at Kansas State University, Friends University and Manhattan Christian College in psychology and counseling. He was a popular speaker on such topics as human relationships, stress, change and organizational development. In addition Rusty mentored many marriage and family trainees, giving back as he always did. Rusty served on the board for many different organizations, volunteered his time to many not-for- profit agencies and used his musical talents of singing and piano playing throughout the years. On May 9, 2016 Rusty died after a one year battle with cancer. We were blessed to have known this man of excellence. Don Wilson was born on a farm near Alta Vista, KS, and is the youngest of five children. Sue (Thompson) was born the third of four children in Hugoton, KS, where her father was the owner/operator of the local IGA grocery store. Both grew up in Christian homes where they learned to work hard and love the Lord. They, in turn, passed those biblical principles on to their own family. They both attended Manhattan Christian College, where they met and fell in love.They married in 1968 and have three grown children and 11 grandchildren. All of their children are involved in full-time ministry. 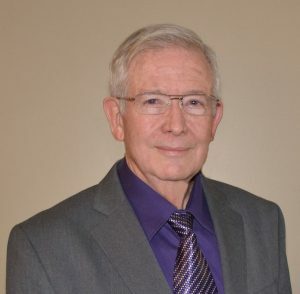 Don continued his education at Kansas State University and then went on to earn both a master’s and doctorate from California Graduate School of Theology in Church Growth and Administration. Together, Don and Sue had ministries in Elmdale, Hartford, and Washington, KS. Don also served as the Student Recruiter and Basketball Coach at MCC for four years. In 1975, Don and Sue moved away from their rural roots to become part of the population explosion in Phoenix, AZ. He held ministries at First Christian Church and Northwest Christian Church before together they started Christ’s Church of the Valley (CCV) in 1982 in their home. 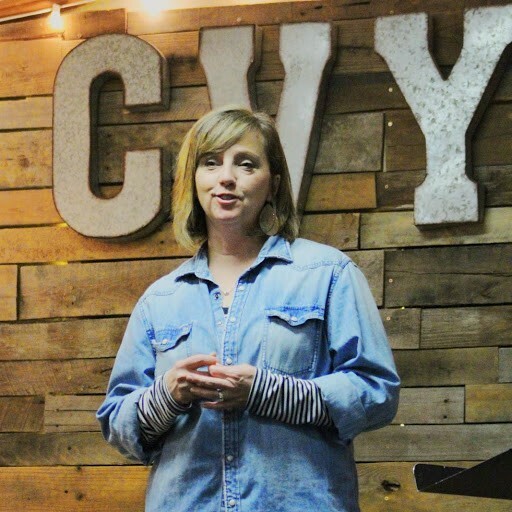 Since then, CCV has grown into one of the largest independent Christian churches in the United States on a 100-acre campus with five additional satellite locations and over 25,000 in weekly attendance. Don has served as the President of the North American Christian Convention, the MCC Board of Trustees, NACC Board of Stewards and the EQUIP Board. Don is a certified leadership trainer with John Maxwell’s company, EQUIP, and has trained more than 5,000 Christian pastors and leaders around the world. As a ministry-team, Sue supports Don as well as mentors pastors’ wives and other young women seeking to serve God. Together, they have worked to follow God’s call on their lives and to make a difference for his Kingdom. Bill was raised in Garnett, KS, by parents, Bill and Lola Thornton, and enrolled at Manhattan Christian College in the fall of 1975. A year earlier, Marcia, a daughter of Dale and Marylyn Rowe, became a student at MCC after growing up in Omaha, NE. As students they met, and later married on August 6, 1977. 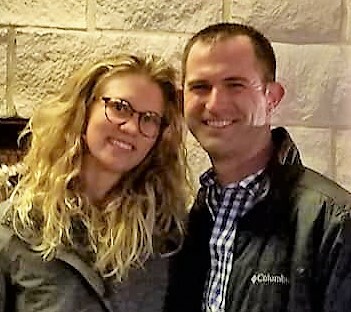 While at MCC they welcomed the first of their four children, Tami, and served together in two student ministries: First Christian Church, Osage City; and the Church of Christ, Council Grove. Following graduation in 1979 they moved to Council Bluffs, IA, where Bill served as the Youth Minister of First Christian Church for three years. In addition to being active with the youth ministry, Marcia enjoyed being a stay-at-home mom to Tami, as well as Jenny who was born during this time. She also continued to minister to families by providing daycare to a number of children. During this ministry Bill began work on a Master of Ministry degree at Creighton University in Omaha that was completed in 1984. In 1982 they moved to Lincoln, NE, to serve the Capitol City Christian Church. Bill held associate roles until 1995 when he was named Senior Pastor. They welcomed two more children, Mark (1984) and Matthew (1991) during this time, and Marcia added teaching in the church’s preschool, to the support she offered to Bill in his ministry. In time four grandsons would join the family, as well as a number of foster grandchildren. After 30 years with the church their lives took a new course when Bill began teaching as a member of the faculty of Nebraska Christian College in January 2013 and they moved to downtown Lincoln so that they could become more actively engaged in Jacob’s Well. Founded by their son, Mark, Jacob’s Well is a Christian community development ministry that involves the entire family and ministers holistically to the needs of their neighborhood as well as the community of Montrouis, Haiti. In addition to helping prepare the next generation of church leaders at NC, Bill and Marcia find themselves busy with folks in their neighborhood, particularly the children and the elderly. They help with a weekly children’s program (Kids at the Well), a community garden, a twice monthly food distribution that serves about 1,000 people, and a neighborhood worship service at a nearby church, all of these efforts sponsored by Jacob’s Well. You can go to www.jacobswell-lincoln.com to learn more about what God is doing in the urban core of Lincoln through the ministry of presence. When Les Palich reflects back on his time at Manhattan Christian College, he does so with the fondest of memories. “I grew up in so many ways during that time—intellectually and academically, of course, but also spiritually, socially, and in a number of other important respects” he says. 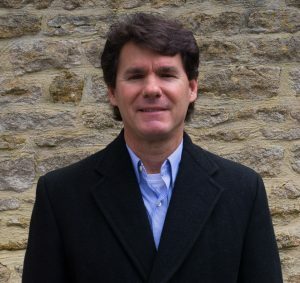 “My studies at MCC provided a vital foundation for living the Christian life, including participating in and contributing to the life of the local church.” His preparation there also provided the knowledge, skills, and critical-thinking routines that have made his career as a university educator possible. Les grew up in Gilbert, AZ, and attended Central Christian Church with his family in nearby Mesa, where he learned from the excellent preaching, teaching, and leadership of MCC alumni, most specifically Charles Cook and Tom Hawks. Because of the impression these men made on Central’s youth, many of them decided to attend MCC, and Les also followed in what came to be a well-traveled path between Mesa and Manhattan. After graduating with an A.B. degree in Bible-Christian Ministries in 1981, Les served in various capacities at Broadway Christian Church in Mesa, AZ, and Christ’s Church of the Valley in Phoenix, AZ. He also became the Director of Student Recruitment at MCC from 1983-1984. It was from this experience that he became more interested in the management of organizations and decided to pursue an MBA at Arizona State University, a degree which he completed in 1986. Sometime later, having passed through a series of doors that God clearly opened, he continued his studies at ASU, earning a PhD in Strategic Management in 1992. This led to his joining the faculty of the Hankamer School of Business at Baylor University in Waco, TX, where he lives with his wife, Dianna, and their two children, Ben and Abbey, and where he currently serves as the W.A. Mays Professor of Entrepreneurship and Strategic Management. When asked why he decided to pursue a career in academia, Les is quick to explain that having the opportunity to be a part of the process of helping to shape the lives of college students was the pivotal consideration in his choice. Though much of his time is taken up with academic research and writing, which he enjoys, his greatest delight comes from being with his students in the classroom or in the study abroad setting, where he can really get to know those who take his classes. These settings provide “do unto others” opportunities through which he is able to help his students gain their footing in life, thereby following in the footsteps of his own professors at MCC who always took the time to help him and his peers grow and develop into well prepared followers of Jesus Christ. Les maintains that his professional endeavors will be more than worth the effort if they bear even half as much fruit as has been borne in the hearts and minds of those who have had the extraordinary privilege of attending Manhattan Christian College. After becoming a Christian in April 1948, Vernon Rodgers had a plan: He would major in pre-medicine at Southwest Baptist University and become a doctor. By October 1948, his freshman year in college, Vernon was headed west from Missouri to Manhattan, KS. Vernon’s preacher, Maurice Strater had convinced him that he needed to attend Manhattan Bible College instead! While at MBC, Vernon met his future wife, Jodie (Klarquist ’51). They married in 1949 and spent time ministering in two northeast KS churches throughout college; Soldier and Circleville. Vernon graduated in 1952 and continued ministering, this time on a full time basis. From 1952-1968 Vernon and Jodie ministered in Ash Grove, MO, Harper, KS, and Draper Park Christian Church in Oklahoma City, OK. 1968 was a big year, as Vernon helped start the Asia Pacific Christian Mission in Indonesia, was called to Hillcrest Christian Church in Granada Hills, CA. where he was allowed to attend graduate school to earn a Ph.D., and began serving on the greater Los Angeles Sunday School Board, where he served for 25 years. Following graduate school, Vernon worked as a marketing VP, and what started as an interim ministry with Cornerstone Christian Church in Tarzana, CA became a 24 year ministry. In 1974, Vernon was asked to be Chairman of the Southern CA Sunday School Convention, which was a successful endeavor. Steve and Debbie first met one another at Manhattan Christian College, as they were both on the same gospel team and in “Celebration Singers”. Steve played soccer and basketball, traveled for a year with “Triumphant Sound”, and enjoyed being a supervisor at Sanderson Hall. Debbie was also a part of “Triumphant Sound” for three years. After graduating from MCC (Debbie was also a dual-degree major in elementary education with KSU), Steve began an eleven year ministry with Central Christian Church in Mesa, AZ. While there, he was blessed to be mentored by Charles Cook (former MCC professor), John Hendee, and Dr. Roy Lawson. He completed his MA in Theology from Fuller Theological Seminary during this time, while serving as the Youth Pastor for six years, and then as the Pastor of Adult Education. Debbie served first as the curriculum consultant at a Christian bookstore, and then as a teacher in Central Christian’s elementary school before becoming a stay at home mom for their three children. 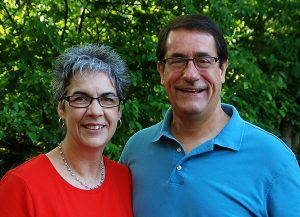 In 1987 Steve and Debbie became missionaries with Christian Missionary Fellowship (CMF International). From 1990-2002 they worked as church-planting missionaries in Mexico City. From 1996-2002 Steve was also Latin America Coordinator for CMF, supervising church-planting ministries in Brazil, Chile and Mexico. In 2000, Steve established and served for 10 years on the steering committee for “Globalscope”, a partnership of Christian Campus Fellowship, GA Tech, and CMF that establishes international campus ministries. In 2002, the Paliches returned to the US to continue with CMF through their headquarters in Indianapolis, IN. Steve started as Dir. of Church Mobilization, and in 2012 began a new role as Dir. of Ministry Center Development – establishing holistic ministries among the urban poor in Latin America. This work takes him to Mexico, Ecuador, Peru and Brazil. Debbie continues to work with CMF in the area of mobilization of CMF missionaries and serves the needs of partner churches. The Paliches enjoy spending time with their children and grandchildren who all live in the greater Indianapolis area. According to Eddie Elliston, “MCC broadened my concept of ministry and provided a base for my commitment to missions.” And what a commitment it has been! Eddie grew up in the small community of Palco, KS and attended Stockton Christian Church. During a high school church camp in Colorado, Eddie met his future wife, Donna (Odom). He graduated high school and through the impact of an MCC Gospel Team visit, turned down a full ride scholarship to Texas Christian University to attend MCC in the fall of 1961. Donna later came to school at MCC as well, and Eddie and Donna were married in 1964. 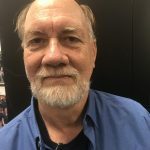 Eddie graduated from MCC in 1966, and went on to earn his Masters from Fuller Theological Seminary in 1971 and Ph.D. from Michigan State University in 1981. From 1968-1986, the Ellistons served with Christian Missionary Fellowship (CMF). From 1968-1977 they ministered in Ethiopia. While there, they were involved in planting 60 church congregations, helping administer 12 elementary schools and a full service health clinic, and Eddie designed an Oromo literacy program. He also designed leadership training and preached in Amharic. After political strife, the Ellistons were sent to Kenya with CMF, where they worked extensively among the Turkana, Maasai, Pokot, Giriama, and Samburu peoples. He administered relief programs, taught at Daystar International University, and he and Donna were deeply involved in the Maasai Bible translation project. In 1985 the Ellistons moved to CA where Eddie embarked on his formal teaching career, eventually directing masters and doctoral programs. He designed and taught online courses at Fuller Seminary, and in 1998, moved to Hope International University to serve as Provost and VP for Academic Affairs. In the recent past, Eddie has continued to work in higher education programs at Indiana Wesleyan University and William Jessup University. He has published articles and is a publishing reviewer. The Ellistons currently live in Missouri. In 1937 before Harland Cary attended Bible College, he was ordained to the ministry. He married Hazel Frances Johnson on June 4, 1938 and that same fall he transferred to Manhattan Bible College. He earned a Certificate of Biblical Literature in June 1940 and stated serving the Christian Church in South Hutchinson, KS. In September 1942, Harland went to Cincinnati, OH, to attend Cincinnati Christian Seminary where he graduated in May 1943. For the next three years he hitchhiked all over the United States to raise missionary support for what he felt God was calling him to do. In August 1945 Harland moved his family to Texas with the intent of starting a Spanish Bible College. Colegio Biblico was established in 1945 in Eagle Pass, TX, to prepare workers for Christian ministry among the 350 million Spanish-speaking peoples of the world. It was the first institution of higher education to minister to the Hispanic people in the United States. Today, 90% of the Hispanic preachers in the Christian Churches and Churches of Christ in the U.S. are graduates of Colegio Biblico. From 1949 to 2012, there have been 484 graduates of Colegio Biblico. These committed men and women are spreading the Good News in the United States, Mexico, Guatemala, El Salvador, Costa Rica, Colombia, Chile, Spain, Puerto Rico, Dominican Republic, Nicaragua, Honduras, Brazil, and Argentina; with 75% serving in Mexico, 20% in U.S. Hispanic communities, and 5% in Latin American countries and Spain. Colegio Biblico offers academic programs to prepare students for preaching and teaching the Bible. Students pay only a $60 registration fee per semester. In exchange for 20 hours of work on campus each week, the students get their education, room, and board. As part of the academic program these students are involved in local ministries in 30 churches in Texas and Mexico as well as sharing the Gospel through preaching, music, and drama at camps and youth conventions. Harland was the founder and president of Colegio Biblico for more than 30 years. It was his lifetime mission work and the Administration Building on the Eagle Pass Campus is named after him. The cafeteria is named after his wife, Frances. Over the years, Colegio Biblico has grown to become two campuses; one in the United States and one in Mexico. Married for 46 years, Sandy and Barbara Sandell have served together on the mission field for 39 years. The Lord sent them first to Europe, then to the Navajo Reservation in Arizona, and then on to Thailand and Laos. Together they have continually sacrificed their comfort by living in difficult situations, sleeping in primitive villages on split bamboo floors and eating barely edible things such as a soup of leaves boiled in salt water. They have learned how to live with the local villagers as well as be accepted by them so that those same villagers would listen to the gospel message that they were sharing. After Barbara graduated from MCC in 1971 with a degree in Bible/Christian Education, she went on to study social work at KSU. She then worked a total of 7 years in the local hospital and the county social and rehabilitation services. Before coming to MCC, Sandy served in the U.S. Army for four years. As a student, he continued to serve in the special force reserves. He graduated from MCC in 1975 with a degree in Bible/Missions. He was a decorated military soldier throughout his career receiving 15 medals and accommodations by the US government and 2 by the South Vietnam government. It was while Sandy was in the military that he received some medical, dental, and pharmaceutical training that he would later use in China, Burma, Laos, and Thailand. Since 1985, the Sandells have lived and worked among the Lahu and Karen tribal groups of Northern Thailand. Sandy has served as a medical/dental worker and Barbara known as MamaLow (the big, important missionary lady) has been by his side and an integral part of the overall work. In addition to leading Bible studies, evangelizing, baptizing, and helping the locals make a better life for themselves, together the Sandells have raised three daughters and one adopted son from the Lahu tribal group of Northern Thailand on the mission field. Now they also have 4 grandchildren. As a family they have taken care of the sick, smuggled thousands of Bibles across the borders, trapped a cobra in the house, taught Bible studies and preached at large conventions through an interpreter, prayed for the sick and watched them be healed, prayed for the demon possessed and witnessed them being released from the oppression, and watched the miracle of people turning their lives around. To God be the glory! After graduating from MCC in 1964 with a degree in Christian Education, Ron and his wife, Linda (the president’s daughter), headed out to serve the Lord in whatever role He had in store. The next 9 years (plus student ministries while at MCC) took them to Belvedere, NE; Greenleaf, KS; Garden City, KS; and Lincoln, IL. God used the activities of Ron’s large Christian Education ministry at Lincoln Christian Church and his leading of many activities at Lincoln Christian College the opportunity to develop his gift of administration. He went on to serve as the administrator of Christian Homes, Inc.; the nursing home administrator at Pleasant Meadows Christian Village in Chrisman, IL, the Lewis Memorial Christian Village in Springfield, IL, and then as Vice President of Development at Manhattan Christian College. In January 1982, Ron was called to serve as the Administrative Pastor at Central Christian Church in Wichita, KS, a church that at the time was teetering on the brink of financial disaster. When Ron’s ministry began the church’s weekly debt obligation was $17,000 (interest only). By 1988, the church had sold all non-essential items, reduced the staff size, exercised their option on 20 acres adjacent to the existing property, and refinanced so that the debt obligation went to under $10,000/week (interest and principle). Other exciting developments during his 16 years at Central included writing the bylaws for Central Christian Academy, Central’s counseling center, and Joyful Noise Preschool. At the same time, church attendance grew from 450 to 2,500, the giving increased from $800,000 to $3.5 million/year and the staff grew from 8 to 50. Ron left Central in 1997 to serve as Director of the adult degree program (LAMP) at Johnson Bible College and manage the college bookstore. In 2001, Ron and Linda moved to New Orleans to be a part of a church plant with their children, Rick and Ronda and their families. He served as Pastor of Administration, once again setting up bylaws, budgets, and assisting with fundraising, etc. The church also established a non-profit center to help the underserved called Building Better Communities. After Hurricane Katrina, Ron acted as “donation manager” and led volunteers in organizing the receipt and storage of 17 semi truckloads full of donations for Katrina victims. In 2005, Ron returned to Central Christian Church in Wichita, KS, as the Pastor of Benevolence Administration for His Helping Hands. For the next 6 years his role included the completion of a new warehouse, establishing policies and procedures for receiving and distributing donation to the underserved, seeing private donations increase from $37,500 to $250,000/year and helping establish a Spanish-speaking congregation called Casa de Luz. Officially retiring in 2011, Ron now keeps busy “coaching “people one-on-one in managing their finances. He and his wife Linda enjoy traveling and spending time with their children and grandchildren.